Welcome to Software Engineering ! Software engineering is the art of problem solving .This course should be viewed as the cornerstone upon which all subsequent project management and software development activities are based. Skills you learn in this class will be applied again and again throughout your college , CS or IS careers. Consequently, you should expect to work hard in this course to develop these skills. It is expected that students will spend at least 3-5 hours or more per week reading and working on assignments and projects. This course introduces the concepts and methods of information systems analysis and design and software engineering, with an emphasis on systems analysis methods and tools. A major focus of the course is a group project. A software engineer shall be responsible for studying the problems and needs set forth by an organization and for determining how people, methods, and computer technology can best accomplish improvements. When computer technology is used, the software engineer shall be responsible for the efficient capture of data from its business source, the flow of that data to the computer, the processing and storage of that data by the computer, and the flow of useful and timely information back to business users. After an overview of the entire systems development lifecycle, the question of how systems development projects are identified is discussed. Then the focus of the course shifts to the analysis phase where the requirements for an information system are defined using graphical models and supporting documentation. Coverage of system design emphasizes on architectural design as well as what is often called external design (or user interface design) rather than software design. In the first part of the course we focus on traditional methods, with an emphasis on process modeling with data flow diagrams. We will briefly discuss object-oriented analysis at the end of the course. · Interpersonal skills: The software engineers should be effective in both verbal and written communications, should be able to facilitate meetings, and should be a competent change agent. · Information Systems: The software engineers should be familiar with the general IS concepts such as the Systems Development Life Cycle, CASE tools, prototyping, process and data modeling tools and techniques, rapid and joint application development, and programming. · Functional Business Areas: The software engineers should be familiar with the accounting, marketing, and customer service areas. · Understand the concepts and principles of the systems development life cycle (SDLC), including systems planning, project management, and computer-aided systems engineering (CASE) tools. · Use the tools and techniques of the structured systems analysis methodology to gather, documents and model systems requirements. · Analyze business processes and develop process models and data models for an information system. · Design architectural models that reflect the design version of data flow diagrams. · Be familiar with trends affecting the analysis and design of information systems, including alternative methodologies such as object-oriented analysis and design. · Understand object oriented analysis concepts in terms of utilization, design, and implementation. · Prototype a user interface for a new information system. · Plan and organize an information systems development project. · Work successfully with a group of your peers on a common problem. · Define the software engineer’s role and responsibilities in a typical organization. · Define systems planning, systems analysis, systems design, systems implementation, and systems support. · Describe a phased approach to information systems development and describe cross-life activities that overlap the entire life cycle. · Compare and contrast the systems development life cycle and system development techniques, including structured programming, modern structured analysis, structured design, information engineering, and prototyping. · Define and perform data modeling and process modeling, and explain why they are important..
Students work in teams of four to six in their senior project semester (approximately 14 weeks) on the analysis, design, implementation, testing and documentation of the software product or the solution they are to develop. Each student is expected to spend approximately nine hours per week on the project on average. The skills mastered and experience acquired in a real world project provide effective use of education and add substantial value to a student’s job qualifications. Results are measurable and tangible. It is also an opportunity for industry to evaluate potential hires; establish strong ties between industry and the university and faculty that may result into research and consulting benefits to the sponsor in fields of interest. Students in the Capstone project have also been involved in many training and collaborative workshops, We have started recently the entrepreneurship track and students are being well-trained in intellectual property standards and business start-up strategies. 2- Students form teams starting from project manager selection by instructor to team members selection by project managers . 4- Teams work on task analysis, feasibility studies, cost-benefit estimations and risk assessment .Secondly , they begin requirements gathering , requirements writing and mapping . Thirdly, teams architect system design models, front-end design and back-end design. All these phases are done in parallel with formal presentations of deliverables to the client/sponsor and class in an evolutionary fashion using prototypes. 5- Subsequently, each team implements its plan, periodically reporting to the client/sponsor and instructor to present the progress of their work and solicit advice on problems in implementation. Clearly , sponsors and projects diversity demonstrate the broad array of interest in our capstone program . Projects dealt with many kinds of business problems and application areas from entertainment to finance to health to education to the public sector needs. The capstone program also offers strong support and training to students who wish to become entrepreneurs. Additionally, our entrepreneurship well-supported track that evolved over the time generated at least 4 outstanding success stories. Progress in the Capstone program has demonstrated its value and expandability. 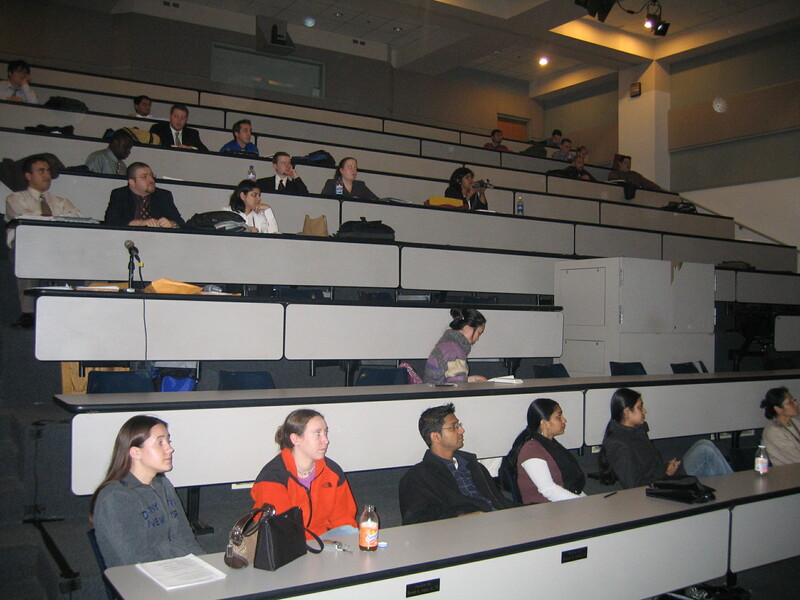 In Fall 2002, the program had a total of 22 groups carrying out 22 senior projects. By Spring 2003, there were 34 teams in the core courses, 10 teams in an advanced curriculum and 2 supportive research teams. Of the Fall 2002 senior projects, 15 (or 68.2%) were externally sponsored. In the Spring 2003, 26 (or 76.5%) had external sponsors. Currently, 100% of capstone projects are sponsored (Internally and/or externally). After two years of the capstone experience, more than 200 teams have completed more than 122 full-scale projects and 200 semester-long projects in which many have multi-phases and some have involved multi-team structures. By the end of Fall 2004 , the capstone program was able to establish project-based relationships with more than 91 sponsors in which more than 82% are external business or organizations to NJIT .Our sponsors list include 6 Fortune 500 companies , 51 medium to small to large size companies across the tri state area , 8 sponsors from New Jersey colleges and universities , 5 public services departments or agencies at the city , state or national levels and 7 unique projects sponsored from NJIT faculty. 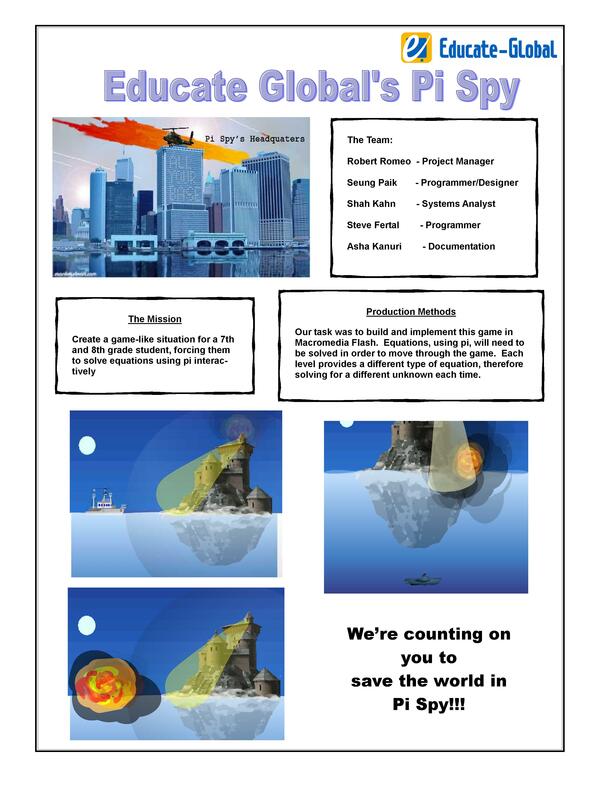 We expect 35-40 teams (200 students) to be available for new projects by Spring 2005. The capstone program is very ambitious to expand its network of relationships and improve its CRM capabilities. Capstone courses director is working on enhancing students resources and training and improve team-structures and teams skill sets by building interdisciplinary collaborations across college degrees and departments and across the entire the school system.